Stone chip repairs completed in as little as 10 minutes! 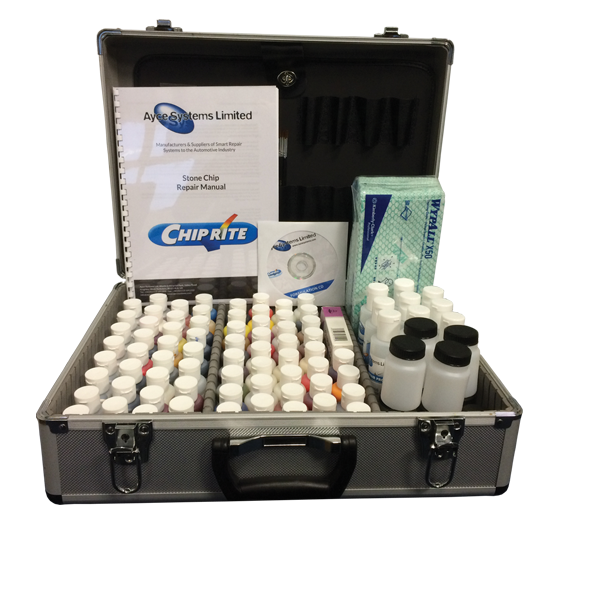 Chiprite allows you to exactly match up over 60,000 colours, using the provided formulation software, negating the need to colour match by eye. Repairs can be completed in 10-15 minutes. The system is aimed at low volume dealerships, valeting companies and new business start ups looking for the very best entry level to do smart repairs. For more information about our Chiprite stone chip repair system click the button below to download the print friendly PDF brochure, or if you would like to receive a quote for this system, please click the request a quote button.